-old posts needs revision because they're no longer relevant, etc. You may have articles you wrote in the past before you knew about keywords and what makes a blog post popular. These posts may have been well-written and helpful to readers, but hardly anyone has viewed them so far. Now you know a little more about keywords and express yourself better. 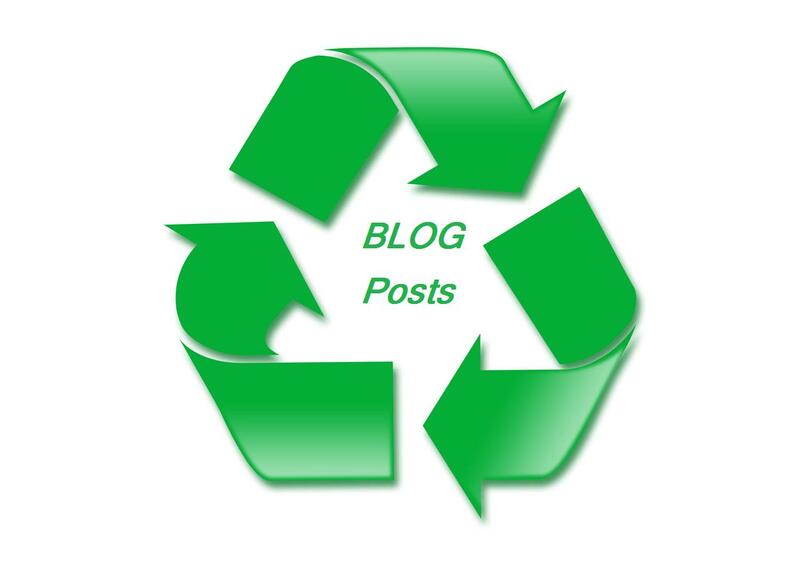 You can spend a few minutes to edit your old articles and simply recycle and repost them on your Blogger blog - with the click of a button. Note: this new feature is one of Blogger's recent updated features. On the left of your screen you'll see a table with clickable options. The first one is 'New Post', the second is 'Overview' and the third one is 'Posts'. Click on Posts. You'll see the linked names of all your posts and drafts you've ever created on that blog. Scroll down to the post you want to re-publish, or search for it in the search bar on the top right of your page. Once you've found the post in your dashboard, hover over it until you see the word, 'edit'. On the right of the post you'll see your Post Settings. Below your post settings are these options, Labels, Published on, Location, Enclosure Links, Search description and Options. Then click on, 'Set date and time'. First, set your time to a few minutes later than it is. Then set your date to today's date (or some time in the future if this is your choice). Now, on the top of your post bar (on the top of the page) click 'Update'. You have to click update, or this won't work. Now wait for a few minutes to see your edited post republish itself on your blog. Have you tried this new feature of reposting your old posts on Blogger? What do you think of it and do you think it'll be useful to you in the future? If you've tried this new feature please let us know. I've enjoyed renewed page views on old posts I've edited and re-published. I realised that while I had great content, a lot of them weren't as fully optimised as they could've been. This new feature enables me to recycle some great, old material so that my new - and old readers - could benefit from them. Please share Recycle Old Posts On Your Blog if you found it helpful. And don't forget to check out our other helpful blogging tutorials on the How Do I Blog page. this will be a huge help! thank you! Yes, Lea. Sometimes we have to look for the good and celebrate changes. Not all changes are bad. Thank you Anne, I always try to edit and re-share my old articles in social media as my circle widens, but I didn't know about the update option which makes the posts fresh. Very useful article. This is one of the new features. It's the one of the ones I find most beneficial. I've linked to my post about the other features that came with the recent updates. I only just recently discovered the world of blogs, and I have to say you're quickly becoming one of my favorites. Great post and look forward to seeing more from you. Thank you, Aurana. There are lots of posts here for someone wanting to learn the ropes in Blogger. Check my blogger tutorial page for more info and let me know how else I can help. I have done a few re-posts but going through a shorter route in the old blogger dashboard. I don't like the new dashboard as everything is hidden..
Hi Icy, I actually shifted to the new dashboard by mistake some time ago, but I just decided to give it a go. I was really surprised at how easy it is to use and I quickly got used to it. This is a great article. I've got some old post which I wrote when I started my blog last year. They could do with a revamp. I'll use your tips for that. You're welcome, June. Let me know if you run into any problems.